This documentation is no longer maintained. 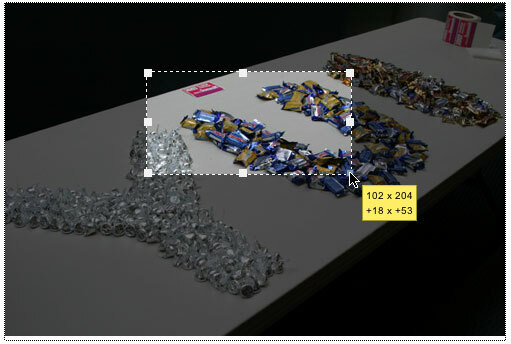 The ImageCropper Control gives you an interactive interface for getting the dimensions to crop an image. Examples: Explore examples of the ImageCropper in action. API Documentation: View the full API documentation for the ImageCropper. Release Notes: Detailed change log for the ImageCropper. License: The YUI Library is issued under a BSD license. Download: Download the ImageCropper as part of the full YUI Library at YUILibrary.com. Instead of copying and pasting the filepaths above, try letting the YUI dependency Configurator determine the optimal file list for your desired components; the Configurator uses YUI Loader to write out the full HTML for including the precise files you need for your implementation. The ImageCropper Control is based on the Resize Utility and it inherits some of it's configuration options. initialXY Array [10, 10] Array of the XY position that we need to set the crop element to when we build it. keyTick Number 1 The pixel tick for the arrow keys. shiftKeyTick Number 10 The pixel tick for shift + the arrow keys. useKeys Boolean true Should we use the Arrow keys to position the crop element. dragEvent MouseMove Event When the DragDrop dragEvent is fired for the config option draggable. startResizeEvent Resize Object When when a resize action is started. beforeResize Height, Width, Top, Left Fires before every element resize after the size calculations, returning false will stop the resize. resizeEvent Height, Width, Top, Left On every element resize (only fires once when used with proxy config setting). Now that we have the top, left, height & width of the crop reagion, here is some sample PHP code for cropping that image based on the data from the ImageCropper Control. Take a look at the ImageCropper examples section for more details.. The ImageCropper Control comes with a default presentation or "skin," part of the "Sam Skin" visual treatment that accompanies most YUI controls. You can read more about the general approach to skinning YUI components in this in-depth article. The CSS provided with the ImageCropper Control is comprised of core, functional CSS as well as the Sam Skin visual treatment. To explore the CSS which controls the ImageCropper's presentation, please review the ImageCropper's Skinning Example wherein the full CSS for the control is displayed. Currently the ImageCropper Control doesn't support scaled images. All images must be used at full scale. Latency: Most mobile devices have a much higher latency on the network than do terrestrially networked PCs; this can make pages with many script, css or other types of external files load much more slowly. There are other considerations, many of them device/browser specific (for example, current versions of the iPhone's Safari browser do not support Flash). The goal of these sections on YUI User's Guides is to provide you some preliminary insights about how specific components perform on this emerging class of mobile devices. Although we have not done exhaustive testing, and although these browsers are revving quickly and present a moving target, our goal is to provide some early, provisional advice to help you get started as you contemplate how your YUI-based application will render in the mobile world. Challenges of Interface Design for Mobile Devices - YUI Blog article by Lucas Pettinati, Yahoo! Sr. Interaction Designer. The YUI ImageCropper Control does not currently support the iPhone or the Nokia N95. Due to the interaction model (specifically, the inability to drag and drop), the ImageCropper Control will not function as expected. The YUI Library and related topics are discussed on the on the YUILibrary.com forums. Also be sure to check out YUIBlog for updates and articles about the YUI Library written by the library's developers. The YUI Library's public bug tracking and feature request repositories are located on the YUILibrary.com site. Before filing new feature requests or bug reports, please review our reporting guidelines. Download full set of cheat sheets. All YUI 2.x users should review the YUI 2.8.2 security bulletin, which discusses a vulnerability present in YUI 2.4.0-2.8.1. Copyright © 2013 Yahoo! Inc. All rights reserved.